Post news about entry into AC and International Gifted Program here. The International Gifted Program is designed for students in grades 6-8. The program includes intensive study of English, French, social studies, laboratory science, mathematics, technology, arts, physical education, library science, and advanced research. The International Gifted Program is designed to allow intellectually able students to be schooled in their least restrictive environment and to mature at an accelerated pace. The International Gifted Program is committed to cultivating independent and competent students who are well prepared for the most intensive high schools and IB Diploma Programs. Entry filed under: Academic Centers. Tags: ac letters, CPS academic centers, cps international ib programs. Thanks for the thread, CPSO! For folks wondering, letters from CPSOAE are sent as well as letters from accepting schools soon after (or depending on timing, can arrive first). There will be an opportunity to tour or shadow the school/program before accepting, and check out our CSG Calendar on our webpage for some dates we know of now. RGC/Classical/Magnet seats for those applying to 6th, 7th, 8th tend to open up in subsequent rounds and well into summer when schools need to fill seats vacated by those going to AC or IG programs. Parents can accept an offer but won’t lose their place at their current school until they withdraw, so often the original school doesn’t know a family is leaving until school is out. Thank you, cpsobsessed, for providing a forum to discuss Chicago school selection process. We will probably get our letter late next week, so I am looking foward to find out from others how cut off scores changed this year. Best wishes to everyone going through this process. It can be crazy making at time, but do know that kids wind up where they are meant to be and things really do work out. For anyone with specific questions about helping with the transition from elementary school to an AC, I would love help/provide my opinions. It’s not easy having a tween, especially one that begins attending high school at 12 years old…. pantherettie, although our ds can be rejected from both ACs he applied to, I would encourage you to share your opinions now. As far as the specific questions, how do the students in AC deal with homework? My son is not only a procrastinator, but also truly isn’t driven by his grades. He never follows up with teachers, and it can take up to a month for him to submit a missing assignment. In his current school, he is very marginally penalized for this, and because he is always doing well in class his final grades do not suffer. I am imagining that it will be completely different in AC. Thanks for the forum. Do we know when the letters are going in the mail? Good luck and good vibes! mom_74 – having a child who thought she could turn in homework when she remembered, 7th grade at an AC was a shocker for her when she saw that points were taken off for tardiness or none given because teachers give specific deadlines, including late assignments. Dependent on the course, homework could be several times a week to daily. She had a period when none was assigned. They learn and learn fast to keep their grades up and not lose valueable points for such a simple task of turning in assignments by the due date. Good luck! I have a 2nd one waiting on her letter as well this week. I called OAE and they said that the scores would be posted Monday so those who know their scores ahead of time should know before the mail comes (barring a tie breaker score). When my oldest applied to AC’s for the 2011-2012 school year the letters came on a Saturday. I was obsessing the other day and was surprised by how high the cut off scores have risen over the years. Is it smarter kids, an easier test, more awareness? Just some musings for the next few days. I’m not really sure but I thought the test used to have quantitative reasoning but this year and last year it didn’t. Perhaps a combo of both more kids taking test and easier test. @Mom74 – There were both social and academic transitions that made the jump from elementary to AC a bit harder for my dd. My dd turned 12 about two weeks before the early start of school (remnants of the CTU strike). This made her significantly younger than many of her peers and (in my opinion) just somewhat immature about how things work socially in a high school. She was also physically pretty petite. It might sound like a small thing, but if you have a kid who is really just a bit over 12 years old, it can be physically challenging to just navigate the hallways and lockers that are built for teens and adults with more mature bodies. We really worked with her on how to organize her things so that she brought home only what she needed to for studying/projects. She also worked hard to plan more time to get through the hallways, manage her super sticky locker lock, get up to the cafeteria, ect. Finally, I think that it’s a hard but important fact to know that the grades that 7th and 8th graders earn at AC are high school credits. When I was middle school, I was a disorganized, big haired, baggy jeans wearing kid. All the stuff I learned in middle school on how to organize myself helped and the mediocre grades I got, didn’t really affect my high school or college experience much. That’s not the case for Ackies. So as parents, keep that in mind and encourage your kid to ask for help early and often. Step and support when you need to as well. Mom_74, you have a very good question; few people at Whitney Young’s Academic Center even considered the increased homework load when they were accepted, to their later regret. I don’t know where your child applied and I have no familiarity with the other AC’s, but at WY the homework can last an hour or two per night. One of the biggest differences between ACs and elementary schools is the approach to homework. The sooner one learns in the AC to perform homework triage – that is, to do the bare minimum on assignments for topics which you have mastery and doing a thorough job on weak subjects’ homework – the better they will do in class. Another trick for doing AC homework is doing the most time consuming assignments in easy classes. If the class is covering matter your child understands, encouage him/her to do other homework in that class. Although it may at first feel ethically wrong to you, it will serve your child much better. My parents were at first ardently opposed this tactic; within two months they became vehement proponents. In short, homework is fine if you manage it well. Does anyone know if Taft does a shadow day for accepted students or any other event for the kids before they have to decide? Kid very, very much wants WY or LTAC, but obviously the competition is extremely stiff so it’s a long shot. She should get into Taft based on her numbers pre-AC test barring an unexpectedly poor performance on the test (we’re tier 3) and I think it would be a great opportunity for her, but she isn’t sold. If Taft is what she’s offered, I’d love for her to see the school in a less chaotic format than the open house before decision time. Second, I wanted to request that anyone who gets an e-mailed notice of acceptance to WY, LTAC, or Taft, post that here too. Our mail service has been terrible lately-often no delivery, especially on Sa’s and M, so I don’t expect a letter until Tues. We don’t know her AC test score so the cut off scores won’t give us any info about what she’ll be offered. Therefore either getting an e-mail or finding out here we would have gotten an e-mail seems the most likely way for us to find out her results before Tues. I understand last year WY sent out e-mails, not sure about the others. Thanks. 14-WYAC has had a shadow day in the past. No personal knowledge about Lane but read here that it does not. Have not heard either way about Taft or any other schools. LTAC doesn’t do shadow days but instead has a meet & greet on March 31. I echo pantherettie’s sentiments above. Now while I thought my son was brilliant at least at his elementary school, the AC has been very challenging. No more straight A student. Gasp! He got a couple of C’s last semester! I had the opposite situation…I guess my son is socially gifted 🙂 He’s always enjoyed the company of adults and older children,so socially he had NO issues! He has gobs of HS friends and I kind of wished he had fewer 🙂 Some of the other parents told me their kids were having a few social issues but after about 3-4 months things were better. ORGANIZATION! has been challenging and seeking assistance is a bit of an issue. He wasn’t use to studying to get an A AND now he must. One problem is getting him to understand that he must study everyday and he can’t cram anymore. There were times initially with all of the HW that I felt like it was boot camp! He’s better now at managing his time BUT now fully their yet. His AC on occasions will give them a break then out of nowhere the work comes in fast and furious. Working on long range projects while trying to complete homework and study has been another challenge and still is. Sometimes he has been up until midnight because he has mismanaged his time, but somehow he pulls it out! I thought the natural consequences of being tired the next day would deter him, but it hasn’t. Long range project management has improved but he still needs work in that department! Like pantherettie said for 7th grade, I have had to stay on the teachers websites and check parent portal frequently to ensure all homework and studying for quizzes gets done. As for late homework, it depends on the teacher! Some have a zero tolerance, some have a one day late with a penalty on the grade, but a month would totally be unacceptable and your child’s grade would suffer. I wish we knew “who else” was going. He told me recently that most of his friends didn’t take the AC test. Really bummed me out, in a way. I don’t think many people really know about the transportation and school bus service available for the AC centers. I bet it would have made a difference. Just realize that schoolbus sevice is not all that it is cracked up to be, to say the least. Buses are frequently 30+ min late, kids are frequently late to school, etc. It makes RGC for our daughter possible, but I know lots of parents that won’t even consider busing. And it’s my understanding that AC busing is even worse, since they make fewer stops, and the stop is not necessarily at your neighborhood school. @21 – I think that the bus service for ACs are not as bad as you’re describing. A couple of points of clarification: 1) the AC buses do pick up kids from a school in the neighborhood in which he/she lives. For example, the Lindblom AC and Lane Tech AC buses picks up kids at Murray elementary school and the Whitney Young AC bus picks up kids at Ray. If you live anywhere in or near Hyde Park, these are reasonable locations. When kids are accepted into an AC, they are offered bus service within a certain radius of their home. So it’s not really possible to not have any neighborhood pick-up/drop-off options. 2) Tardiness – last year, the Lindblom AC buses were run by Jewel bus service. They were not good at all. However, after a group of parents organized and spoke with CPS transportation and with the support of the school (assistant principal and registrar/admin), Jewel is no longer doing any more school routes (not at Lindblom or anywhere else). Consequently, this year, I think that the bus has been late maybe twice since Sept. 2014. I’m not saying it’s anywhere near perfect, but I am saying that it’s not horrible and a very viable option for kids. This is info is from our experiences, but I think that it’s worthwhile for parents of potential Ackies to talk with other parents to get recent experiences. Homework is a real concern of mine. Question: If child is in a high performing school for 6th grade and already spending every waking weekday hour and some late nights on homework, will there be in increase in homework at AC? My daughter really couldn’t take on more, but maybe her school’s homework is more than most. That’s my only hesitation about academic centers. I told my child I’d support whatever they want (if a spot is granted). 4) ability to be involved at lots of stuff at school which we are already familiar with and know he loves without the stress of too much homework. @22, I was speaking from my personal experience. My daughter’s bus is late at least twice a week. She is a late start school, so they get the buses second, which certainly contributes to the problems. Waiting for her bus for 45 minutes on a zero degree day, as has happened a few times this winter, gets old really fast! I know that academic center pickups are in the general neighborhood, but they are not at every neighborhood school, which can be a problem if you have multiple pickup/dropoffs. I do think it is an option for a lot of families. My daughter might very well be riding the buses next year if she gets in to AC, but I know many families in my area that are not willing to put up with the hassle. Mailman watch is in full effect!!! Mail came in jeff park. Guess Monday is the day to watch. What time do mailmen start on Saturdays? I’m really feeling ambivalent about what I want my daughter’s letter to say. How do you already know your scores? Where are they posted? Meh, no letter in North Lawndale. Mail arrived around Noon, with no CPS letters. No letter in West Ridge. @30 – if you took the test in November you received your test score prior to the application deadline. You can then go to the rubric and calculate your total score. Since the letter didn’t come today I just talked to my kid (who has an incredibly long day on Monday). They basically have unmonitored access to their chromebooks at school. She really wants to know either way and is emotionally prepared for whatever the result will be. I just showed her the cpsoae website and told her where the results would be posted. Her scores are well within the 2014-2015 range but they go up every year so we won’t know until we get the letter, scores are posted, or people start self reporting here. Whereas i realize the cutoff scores usually get tougher, I’m actually under the impression they will drop slightly this year like all of the SE high schools did. This has to do with MAP being a more rigorous test than ISAT or Terra Nova of the past. I guess we will know for certain either way very soon. I wonder which AC accepts the most kids. I’ve heard Taft accepts more kids than WY or Lane. Don’t know about the other schools. @45 I read in an earlier post (different thread?) that cps would post them Monday. I assume that the link will be right on the home page of cpsoae like the high school scores. @45 – Here is the scoring rubric. The test scores came in the mail back in December. Hope this helps. LTAC and WYAC admit 120 students, Taft admits 155, according to their Web sites. Either the mailman called in sick or I didnt recieved any mail. Monday looms! 6th grader took classical and AC/RGC entry test. Are three potential offers to be expected? Just talked to office of access and enrollment, they said that the letters were mailed out on Friday and that the cutoff scores will be posted by the end of the business day tomorrow. I don’t know my son’s final score, but am really interested to know how far apart are Lane Tech’s score from Whitney Young’s. From reading this site, I see a lot of people put down Lane Tech or Whitney Young as their number 1 choice. If you get a letter today please post your Tier and Total Score and school. And make sure your steps are shoveled so the mail carrier doesn’t pass you by! Is it me or is time dragging today? Just a word to the wise from a veteran. Everyone starts out all nicey-nicey here every year. Very supportive, “you, go, girl!” messages for a few hours or even a whole day. And then the tide starts to turn…the claws start coming out, inch by inch. We all get to endure the bitter “why does tier 4 have to score higher than the other tiers?” and angry “Those damn Tier 4 people are rich and can afford test prep!” posts. The tier system is very, very flawed. We all know someone who is “rich” and using a fake tier 1 address or someone who is “poor” but is stuck with a tier 4 address. We get it. But it’s the system we have to work with. We are all doing our very best for our kids. Being nasty to one another here will NOT get your kid a seat at their desired school. And you will NOT feel better later when you realize what a jerk you made of yourself here. You will feel sick at how low you have sunk, how this system has stolen some of your humanity. Before you hit “enter,” please re-read your message to another human being here. Some of the kids are in this thread and we need to lead by example. momofboys242 , thanks for posting, and congratulations! Was WY your first choice? Yes. He put WY first, and never thought he would get in. He put Lane 2nd and Taft 3rd. I honestly don’t think he will take any though. We have some things to consider, and he and his friends are very happy at our neighborhood school. I do feel some relief however that he will be in good shape for high school when its time. He’s my third through the process and the others had a hard time getting anywhere for high school, so that’s a part of why he tested. Good luck to everyone here! momofboys242 …thanks for posting. Do you know if your child got in based strictly on the score or within Tier 4? Does anyone know if they do a second round of Acs, when people turn down the spots? Historically there are no second round offers for the ACs. They haven’t been doing a second round. Instead they overfill in the first round based on how many they think will accept/decline. So, do they give out more offers then the number of actual seats they have in an upcoming class? There must be a number of people who choose not to attend AC even if the child was accepted. Oh, wow! The cutoff scores have raised again (for WY and LT at least). A lot of people were speculating that they will go down because MAP is harder then ISAT, but the raise is actually quite significant. Ugh, I shouldn’t have looked. WY and Lane jumped again. Still waiting for the mailman (tested in February so no idea). momofmany, I am in the same boat as you: was hoping to see the scores dropped a little bit from last year, hoped would be having an easier time waiting, but no……. My ds also tested in February, so we have no idea what his score is. Didn’t get the mail yet, but don’t need to because I know that we won’t get an offer based on the minimum scores. It’s actually quite a relief to know that we’ll be in our neighborhood school for 2 more years! Thanks to 72. Following for posting the cutoff scores. Don’t have to wait for the mail person anymore. Accepted to Whitney Young AC based on ranking (scored 890, tested in November) XDDDD!!! Something to brighten up another random snow day during spring break! My daughter tested in February, but I can see that Lane is out for us. We also applied to Taft, so I guess we will wait for the letter. Once again, my kid had a score (848) that would get her into WY in Tier 3, but not high enough to get into Lane from Tier 4. Reverse discrimination at it’s best. Many thanks to Karen Lewis and Barbara Byrd Bennett for undermining the quality of our elite academic institutions. Only a few scores actually went up. 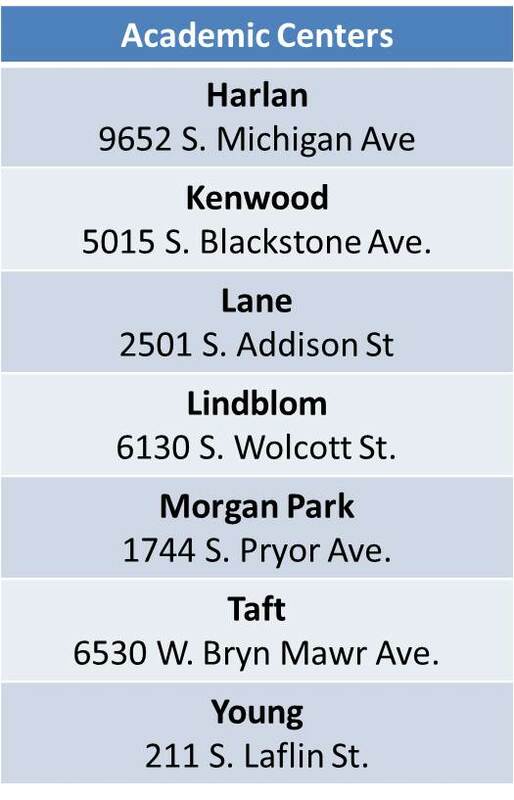 Tier 4 at Young, Lindblom, Kenwood and Lane; Tier 3 at Kenwood; and Rank admission at Lane and Young. Everything else was down. @79…I think you are blaming the wrong people. Tiers were created long before BBB got here, and it came out of the school board, not the teacher’s union. Excellent spreadsheet- thanks for posting, @80! As a reminder, 30% of seats are awarded by rank, so any tier can get the bulk of seats. Hypothetically, in a class of 120 students, 57 can be Tier 4 kids, and 21 each could be from Tiers 3-1. Tier 4. Whew. I can breathe again. Good luck to everyone still waiting. Missed one, Harlan Tier 4 is also up. Interesting data.. with Tier 4 scores going up at Lindblom, Kenwood and Harlan, in theory, that should have taken a bit of pressure off of Lane and Young. Either way, it’s good to see that people are starting to look at schools in other neighborhoods. Increasing their strength is good for the whole system. Daughter scored 868.4 and looks like the cut off for WY is 868.5. She is home sick today so I already spoke to her. It is so hard as a parent hear her broken heart. I know she will be fine in the long run, but this will be tough for her. @87 😦 Oh, that is heartbreaking! To miss the cutoff by such small margin. Was WY her only choice? We are waiting for the scores in the mail, but in the meantime, I am convincing myself that if we don’t get an offer from AC, homeschooling or virtual school is an option worth exploring. You’re the best for your kind words. She had her heart set on WY so that was it for her. She will be fine in her neighborhood school and as with most things, there are positives as well with her staying there. Best of luck to you…I really hope it works out. My son got his first choice, Lane, with an 864 score, in Tier 4. The letter is staring at me from across the room. Promised I wouldn’t open it. I’m going to have to leave the house. Tier 4, 885, Whitney Young, first choice. Has anyone received any emails or information packets from the schools? Tier 4. Score 880.4 Offered Whitney Young Academic Center. Only applied to Whitney as our son is in IB Gifted program at Ogden. Good luck to everyone. Mail has not come yet. Has anybody who was offered a spot received an e-mail from the schools themselves? Tier 4, score 871.3, got into Lane (first choice). Good luck to all. Still no mail in Hyde Park. The suspense is killing me! Offered Whitney Young, first choice! How much on average do people score on the test? My son though the test was easy: But only got a 110. No offers from our 3 choices, Lane, WY, and Taft. Does anyone know how they score the exam. For example, child did not answer 2 questions–ran out of time–so am assuming was docked 3 points each or 6 point total. Anyone have any insight? My daughter tested for skinner and the ac’s. Letter says she is offered a seat “at Skinner West, Lane”. What does this mean!!!!!??? Is the MAPS score derived from the Spring MAPS score? A friend just emailed me this question… thought I knew the answer (Spring Score), but someone else told her it was an Average. @109: Mine says he is offered a seat at Lincoln, Young. I assumed he has two offers, from two different categories: one from Lincoln, the other one from Whitney Young. Am I right to interpret it in such a way? @111 The MAP score CPS used to calculate your points is from Spring 5th grade. But a lot of students in CPS were given an opportunity to retake MAP in the Fall. Then they would use the latest MAP, I think. For sure, they can’t “average” a test such as MAP, especially that they are scoring it against kids of the same age nationwide. Accepted Edison RGC and WY. @53 The Kenwood Principal is not opening more seats because the AC will be moving to Canter. The teachers for the core classes only teach the AC students not the HS teachers. The AC students only have the high school teachers for their electives. He feels like just because a kid is smart that developmentally they are 12 & 13 years old and need teachers that are experienced with dealing with the transition to a HS setting. I think he believes the core AC teachers are more supportive than if they had teachers from the HS. So, the 7/8th graders will have their core classes at the Canter building and lunch and will go over to the HS building for their electives. He is also moving the pre-engineering and biomed courses to the Canter building which are for the HS students although in 8th grade the AC students can also take these classes as well. I didn’t know 4-6 students left at the end of 2nd quarter from Kenwood. I would venture to say that maybe it wasn’t the right fit academically and the child wasn’t ready for the rigor of the classes and all the work that’s involved. My son got accepted by Taft. Tier 4, Scored 820.1. It was above Max score of Tier 4, which means he was picked by ranking instead of tier? So excited for this new chapter in his life! Best of luck to everyone! Anybody know when the orientation is? We may need to rethink vacation plans. Which are you leaning toward – Whitney Young or Edison? Hi everyone, I am new to Chicago these past two years. My son was accepted to Taft. He currently attends a charter school here. I want to know what you all use to determine if this is a good investment. I am familiar with Whitney Young and Lane because that’s all I hear about, but wanted to hear more about Taft. Please let me know! Congrats to all and thanks! WY first and only choice. We live in Tier 3. But it didn’t matter. I am a parent of two dolphins. I noticed after rereading my letter that the total point score does not match my calculations. Did anyone else notice that CPS did not use the published rubric/table to calculate MAP values? @123 the cps score matched my calculated score to the decimal point. Can you retake academic center test in 7th grade? @126, most likely, no. The AC programs are truly 6 year programs. I don’t see how any student could enter in 8th. At least at Lane it would be impossible. We didn’t get a letter today (In fact, we didn’t get any mail–which never happens. Super awesome day for that anomaly to occur). Question: If my kid’s score falls within the score range (between min and max) for our tier of our first choice school, is it too risky to think she is in? Re: second round question above. I know Lane does not do a second round (i have a child there). Taft does, even if it isn’t called a second round – my other daughter turned down a spot there last year, and several of her neighborhood school friends who didn’t get letters initially were contacted later in the spring. yomama, logic dictates you should assume your student got an offer from his/ her first choice. Congratulations! @Mom_74: Grrrl, I hope you’re right. So ready to have some direction for next year. Thanks for the congrats! @128 I know of two kids who started in 8th grade at Lane. It might not be common but it does happen. no mail received @ 60645…what to do? I’m in shock and scared out of my mind. Eighth grader just turned down Whitney for LPIB. Three kids at three different schools. Mail came after 6:00 pm but no letter from CPS. How long before I can call and get phone results? I think this will light a fire under him to make it into one of the top SEHS! Very proud of him! @133. What year was that that 2 kids started at Lane in 8th? Was it 2 years ago? The inaugural class that started in 7th 3 years ago, they did add to the class for 8th. But I don’t believe after that. The curriculum has changed since the inaugural class. There were no new 8th graders this year. Most probably will turn it down. Will try again for 8th grade for WY. No new 8th graders for all AC or just LTAC? Madeline, it depends on which school. WY and Lane do not have second rounds but Taft usually has multiple rounds. If she just missed the Taft cutoff, I think she has a good chance of getting in! Best wishes to everyone going through this process! For anyone with specific questions about helping with the transition from elementary school to an AC, we would love help/provide our opinions. Current AC Whitney Young parents of a 7th grader. Do you know if there is a wait list for Whitney Young? For example, if someone declines their spot will the next highest score get in? One other note. 7th grade is (I know, this is shocking) the time to start searching for, and applying for, college scholarships. Does anyone know if WYAC will offer shadow days? I read in a previous past they have done it in the past. @Jen K yes WYHS does offer shadow days. They usually will pair up your child with a current 7th or 8th grade AC student and will have them shadow them for most of the day…they also provide your child with a letter to hand in to their current grade school to excuse the absence for shadowing that day. Before their shadow day is done they also have a mini informational session for prospective parents to answer any questions you may have before making a final decision on accepting the offer. @152 – thank you for all of that info! We finally got mail after 8:30 pm?!? It’s going to challenge her and that’s a good thing. Would love to be in touch with other LTAC parents. @Jen K…Did your kid get accepted to Whitney Young High School or Academic Center? Are you leaving Disney II?? @sojobe and @ Robin in WRP, thank you for your willingness to share! I have a few practical questions. How do we schedule a shadow day? When is Summer Orientation (approximately: beginning or end of Summer), and how long is the Summer Orientation? Did your kids enjoy it? Do a lot of kids know each other before starting WYAC? @Mom_74 I have an 8th grader at WYAC. I recall that the welcome packet from the school contained info about the shadow day. The packet should arrive soon. Summer orientation is in mid-August and lasts about two weeks (half days). We had to juggle to get my daughter there, but she loved it. They go to their four core classes, get to know the layout of the school, meet fellow students, and more. (Orientation is not necessary–the schoolwork assigned doesn’t bleed into the school year–but it is a good experience.) Many kids know each other already, but there are plenty of kids who don’t know a soul. My daughter was the only student there from her grade school, for example; she is a reserved person, but she adapted and found plenty of good friends. @Mom_74 yes You should be getting an email or letter in the mail with the dates that they will have available. If my memory serves me right, I think they had 2 to 3 days to choose from like a Wed. thru Friday option. As for summer orientation for our student it was scheduled in the month of August. It was a 3 week orientation program running from Monday thru Thursday for half day. They do encourage attendance to this orientation, I thought it was very helpful for us and our student, since it helps them acclimate to the building, classrooms, some of the teachers (who will eventually be some of their core class teachers) and get to know some of the other AC students. Depending on what grade school your child is coming from? He/she may be around friends/acquaintances. For us it was like starting from scratch since she was the only student from her former grade school that got accepted into the WY AC program, but by the end of the orientation she had made 2 friends! I also have a current LTAC 8th grader who will be continuing in HS at Lane. Happy to answer questions about LTAC—great group of kids, high caliber teachers, incredible administration, unlimited club/sport/social opportunities. The 6 year program offers an amazing opportunity. As my older one is planning his HS schedule for the next 4 years, I really see the HUGE benefit of the 6 year program. It allows students to get their requirements done earlier allowing room to focus on more AP or more electives which is just not possible in 4 year regular HS path. This will certainly benefit the college application process. Got mail yesterday. Very nervous to open the envelope! Tier3 score 668 ( very disappointed son cried all night and some this morning) ! Newly accepted students are invited to see Lane an additional time before making their selection on March 31st, 2015 from 5:00 – 7:00 pm. There will be a short presentation in our auditorium shortly after 5:00. Current LTAC students, parents, teachers, and administrators will be in attendance to answer any of your questions. Unfortunately, Lane does not offer shadow days given the amount of requests we receive. We simply do not have the capacity to accommodate all students. Accepted students will be invited to visit Lane one more time before making their selection. Will be waiting for a packet to schedule the shadow day, I think my ds will enjoy it tremendously! He is coming from the suburbs, so he will definitely be the only one from his school. Hope he makes some friends over summer orientation! @Tammy, so sorry to hear that. @Patricia do you know what kind of orientation for LTAC there will be (and when)? My daughter is very excited. WY website calendar shows AC orientation as June 22-July 9th. Is there a waitlist for Whitney Young? momofmany, can you post the link to this info? Hmmm, does Lane do shadow days too? Can you put some light into Taft AC? We are still undecided if my son should accept it. We have read more negative reviews from the past than positive. Help. Now I have to find out what happens if one misses this orientation. DS has been accepted into his dream math camp which creates a time conflict! Choosing between camp and orientation will be so difficult for him! Certainly the meet and greet you posted on the 31st is a good overview, tour, meet current LTAC students and parents. Also meet some of the new students through the process. If I remember correctly, you will be getting a mail packet with a bunch of dates. There will be a date at the end of the school year for an orientation and the math placement test. LTAC also does this GREAT “camp duncan” overnight trip. The LTAC teachers chaperon and they do fun group & leadership activities. My son came home so excited about not only the program, but he made many friends at Camp Duncan. I think there is also a few days before school starts that gets them into the grove and settled for the school year. Ugh, mine is signed up for camp during the second half of that time…I’d really hate to cancel. I figured out what was going on with the MAP score and the overall score — CPS is using the official rubric for the MAP test. Something wacky went on with the grades, either when our school reported them or CPS transcribed them. CPS has been pretty helpful over the phone. Anyway, check the math on your child’s number on the letter! @171- I’m a big fan of Taft. My daughter graduated from TAFT AC in 2013 and it has only improved since then. They have eliminated the uniform requirement, added Algebra for students that test over a certain % on the MAP tests, and increased the world language program so an AC student receives 2 World language credits as opposed to 1. While the AC busses leave really early in the morning it makes the commute bearable and the kids love that aspect of their day. Taft would like kids to stay but understand that many kids will go on to SEHS- even though many far northwest side families don’t even apply because none of the SEHS are geographically convenient for them. Taft has always had multiple rounds. My kid was accepted in June. Last year a friend’s daughter was accepted the Thursday before school started. The possibility of WY is the ONLY reason why I hadn’t signed my dd up for any camps yet. So sorry for those of you with conflicts. Hopefully the school letters come SOON and will lay it all out for us. @177- Thank you. My husband is still not convinced but I am more open to new possibilities for my son. I told him to maybe attend the open house this 31st just to see the school and we`ll decide from there. But in the end, I know my son`s decision would be the final one. Thank you so much @west rogers park mom! Questions for current LTAC Parents – I began to fill out the online Admission Form on the LT website and it asked about preferred electives…Do you recommend the LT study period (I can’t remember the name) over another class like art, science olympiad, etc.. Also, for those kids that have had a foreign language in K-6, do you recommend starting at an easier level or testing to their ability. Just trying to make the transition as easy as possible! Thanks. still waiting for mail in Portage Park. Our mail carrier called in sick yesterday of all days. Hi. I received an email today for WY. They mailed a welcome packet today, should arrive tomorrow or Thursday. The shadow day is tomorrow or Friday from 7:30-2:30. I was surprised they would be this week. @139, yes it was two years ago, they are sophomores now and chose to stay at Lane. The shadow day form lists April 2 instead of March 25. Now I’m confused. I’d love for my daughter to go tomorrow. @183 Shadow Days are actually Friday or 4/2 according to the form you need to fill in. There is also a parent mtg at 1:30 on the shadow day. We just signed up for Friday. Now we need to figure out how to get her there! It depends on your kid. Pros are one less class to study for, time each day to do homework, get questions answered, or downtime. Cons are ability for fewer electives or AP classes in HS since you could have taken care of an Art or Music or Computer Science elective in 7/8th grades. Also, some kids are not productive during the study hall (although others are). LTAC had it during the earlier part of the day this year based on solid research and input from counselors, etc., but have found students using it more to finish that days homework rather than “get ahead” or being proactive. They are rethinking this and I am sure they will find a good solution. The administration is fantastic at implementing or changing things that make sense. LTAC is A LOT of work and a transition to a more independent learning experience. At some point a kid needs to “own” their education and for some it is a struggle to transition to this in 7th/8th grade, while others embrace it from day one. So it depends on your kid. In retrospect, my 8th grader did not want to do the study hall because he wanted to get his elective credits checked off. (Also, the electives tend to be less homework than the core classes, so it is not like the workload of another math class.) Now that he is planning the next 4 years and is really excited about computer science, he is so glad that he took the electives because he can take more CS classes or additional APs. I wanted him to do the study hall, but he owns it, so I honored his decision. Now I see he made the right call for himself. He has friends who really like the extra time and are glad they are doing the study hall. Not sure what the right call is for my incoming 7th grader. He is a different kid and the study hall may be good for him. Thanks for the great information #185 and #189. I was not prepared to make such important decisions already! Just spoke to WY about the shadow day form. It isn’t tomorrow after all. It is in fact Friday or next Thursday. momofmany, did you get confirmation that you’ve been scheduled for the shadow day? I also submitted a form requesting Friday as the shadow day, but haven’t gotten a confirmation yet. west rogers park mom.. I must say i’m shocked to read the reviews of Taft HS and more than a bit concerned that I can find no active Taft AC forums for parents/students. Have you any knowledge of active forums where Taft AC parents/students can answer questions for incoming ACkies? Do you know how early Taft AC classes start? We are in Edgewater and having just found the Taft AC school bus schedule for the 2014-15 school year.. I can only imagine that the bus ride must take more than an hour (considering the 4 stops it makes after beginning at one of our neighborhood schools). I’ve also discovered that no CTA buses actually stop at the school… from what I see, the nearest bus stop is .4 miles away. I hadn’t thought it possible for CTA NOT to service a HS with a closer bus stop than that. The Taft AC “school within a school” structure has my wife and I very concerned considering what we’re reading about the regular HS and the very little information that we can find regarding the AC. Seriously leaning to turning down this selection. My son really only wanted to attend Lane, but with the big increase, again this year, in test scores… he did not make the cut (if only he’d been in 6th last year, he would’ve made it.. but such is life). We really feel that he needs to be challenged for as his boredom increases it becomes more apparent that his motivation wanes. He’s coasting thru his magnet school’s ‘gifted’ program w/ straight A’s and the thought of letting him stay there for 2 more yrs leaves me worried as to how this will sap his motivation and love of learning. Thanks for the kind words: (Mom-74). We know it will all work out! We don’t really know what went wrong..
@ 181 My current LTAC 7th grader is enrolled in LTAC Academy (i.e., study hall). It was the right decision for him this year given his busy extracurricular and sports schedule — although I can’t say he is using the time to “get ahead.” He mostly uses LTAC Academy to do the previous night’s Algebra homework, which means one less thing to do in the evening at home. Or, if he has a test, he will do Algebra at home the night before, and study during Academy. It’s worth noting that LTAC Academy is a regular sized class (approximately 30 LTAC students) with a certified teacher. Students are required to have work to do — it is not a time to socialize or hang out. Overall, the difficulty and quantity of work at Lane has not been an issue for my child. Many nights he has less than an hour of homework. There are exceptions, of course (history fair, finals weeks, etc.). However, the transition and workload has been totally manageable — even for a not-so-motivated, social and busy kid. I do agree that students needs to take greater ownership of their work in an AC, but think for most kids that happens relatively quickly. Can’t offer any advice re: foreign language – My child decided to start a new language at Lane so never tested for proficiency. Good luck and congrats. My child LOVES Lane — hope you have as good an experience. @Tammy. What was your son’s entrance exam/gifted score and what were his reading and math MAP percentiles, if I may ask? So sorry to hear how upset he was! @Tammy… reading your post pained my heart. It’s a shame that the loves of our lives have to endure this procedure at such a tender age. My son cried when he got his letter yesterday… his heart was set on Lane and while he was proud to be accepted to Taft AC.. his reaction caught me so off guard, I was at a loss for words. I’m not sure if his tears were disappoint at not making it into Lane or joy for being accepted into an AC or just relief that this process was FINALLY over or all of the above. As his mom and I congratulated him on making it into an AC a flood of emotions hit my heart because I couldn’t tell for which reason his tears flowed. I asked him, but he’s such a thoughtful child.. I knew that if it were disappointment, he wouldn’t say so. He knows how much we wanted him to attend an AC and his desire to make us proud certainly influenced his responses to our questions. @195 as a former TAC mom and now heading back into Taft’s AC with the next kid, I am very happy with what the school offered then and now more with the new principal who has upped the game there. I am constantly seeing more changes for the better. First dd went on to NSCP w/ around 6 HS credits under her belt. This really helps in terms of taking advance courses sooner than those coming from other schools. We are very excited that our next girl is on her way there as well. Our advantage was already being west and dd took the Narragansett bus (which at times turns right onto Bryn Mawr for Taft kids) and crossed the street to school. Not sure what bus routes head west from your area, but I do see several kids walking on Nagle towards Bryn Mawr from either Devon and Foster/Higgins. Best of luck to you on your decision. I have a 7th grader at Taft AC and we LOVE it. I also have two HS kids at Lane. We have decided he won’t be moving for high school. That’s how impressed I am. Happy to talk more with incoming Taft parents who may have questions. Mail finally arrived today, and still no letter from CPS. Any suggestions on what to do? @195, We have the same dilemma. We actually decided yesterday to decline the offer from TAC. But a close friend told us to think about it and try to find more reviews on TAC. My son also has his heart set on Lane. But still grateful that he got into Taft, another AC. @202, 201, 200 – Thanks for the more recent info on Taft. Since we are a few years removed from it I don’t really feel qualified anymore to praise it as much as I do. I do still get AC emails and newsletters so somewhat keep up with the goings on. I can say that there was not as much of a parent community at Taft as at either of my kid’s elementary schools, where I have met some great people. But perhaps that is true at all of the AC and high school levels. I can also say that the general population should not be a deterrent in any individual decision making process. The AC kids are segregated to the point where they have their own lunch period. Unlike Lane and Taft they take no classes with high schoolers. For anyone reading this who thinks Taft is ‘too far’, or ‘not as academically challenging’ I would highly recommend attending the open house before making your final decision. I filled out the enrollment form via Google Forms for LTAC for my daughter today. Anyone who is a current or former LTAC parent, do you know if a second language can be the elective instead of those listed? My daughter is hoping to test into an upper level french class (she is fluent and has been in an immersion environment since preschool) and test into German 2, because she has had German for a year already now. does everyone who applied get a letter? even if they did not get accepted to any of the ACs? Mail came today, but still no letter from CPS. Anyone want to tell me about NTA ??? We got an offer and I’ve heard great things but the test scores don’t tell because they are not seperated from the neighborhood scores. Do you have any pointers, advice, teachers to request for KG ? Anything will help. Thanks in advance ! I, and I’m sure other parents of potential Taft AC students, would certainly appreciate it if any current (or recent) parents/students of Taft AC would share thoughts, opinions, suggestions, concerns, etc..
@TPick – You should try posting this question on with on the SEES thread. This one focuses on students who are in middle school. @208 our son’s classmate received letter even though he was not accepted to any AC. Has anyone head about Lincoln IG? So far, I haven’t heard anyone get an acceptance. @214 My son was accepted to Lincoln IG as seventh grader, but he is going to go to WYAC. Does anyone know if there is a way to get a reprint of the spring (2014) and fall 2014 MAP scores? We can’t find them but are shocked that our straight A student (all As in 5th and almost throughout at Skinner West) got 743 despite taking a select prep test and having what we remember as high percentile scores on MAP..
Also wondering if anyone did selective prep and surprised at lower than expected scores. We are Tier 4 so all of this is to prep for the 7th grade whirlwind..
My son was offered a spot for 6th grade at Ogden’s IG program. I’m trying to decide if I should keep him at his current school until AC or if there is benefit to accepting IG offer now and possibly changing schools again the following year if he’s accepted into an AC. Does the IG program automatically feed into Ogden HS? Any intel or insight would be appreciated. We did Selective Prep and my dd’s score went up 19 points from a 127 testing in 5th to a 146 this year. Just the SP classes are in no way enough. They are just an overview and a diagnostic tool. We then took the knowledge of what she was stong vs weak in to focus her studying. She studied about 120 min a week x 4 months for the admissions test. Just taking the class without putting in the time at home would change the baseline score very little I think. Does anyone know what this means “it is my pleasure to offer your child a seat at Pritzker, Lane”? Your child was offered seats at both. They can be offered one ac, one rgc, and one ig school all in the first round. Trying to decide if kid should accept offer at LTAC. Irritated that they don’t offer shadow days. It’s a big decision to go w/o having the chance to see the school in action. Don’t think Open House will be enough. Thoughts? I wish LTAC had a shadow day, too, but I feel like our family has the info it needs to make this decision from the previous tours, talking with students and their parents, etc. We can’t wait to go on March 31, though, as we have some specific questions about the academy, class load, etc. I hope the spirit wear store will be open then, too! Yes Ogden IG feeds into the High School. My daughter is currently in 6th grade at Ogden. I asked myself the same questions when deciding on what to do. The High School was the deciding factor in transferring to Ogden. I wanted an acceptable option in case she did not make it into SE HS. More then halfway into the school year I am sold on the program from 6th grade to 12th grade. The school has a progressive vibe, teachers are hip but experienced. The principal is engaged, news letters, updates, questionnaires, etc. It looks like she is going to expand the languages and electives. With all of that said, middle school kids are well prepped and at least a handful get accepted into the academic centers. Some of my daughters friends (classmates) will be going to WY next year. She is bummed about that. The middle school IB program has a very good balance of kids. The majority of kids are from the Ogden East campus. I’d say 1/3 of the kids enter through the gifted program. Many CPS schools have lame middle school programs. The one we transferred from was just that. When my dd got to Ogden it had a totally different feel to it. It just has the true feel of a middle school. Ogden has many programs during school and after, Sports, music, art, chess, debate, math and science clubs . For my daughter Ogden was a very good next step. I hope this has been helpful. 207 Beth- I’m a former LTAC parent (child now a Lane freshman) and I don’t think they offer a 2nd foreign language as an elective option. I asked my daughter, and she thought the homework load would be too much. My suggestion would be to test in to upper level for the more experienced language and then maybe take another language later after she’s completed the coursework for the 1st language. For instance, my daughter’s friend got into Latin 2 as a 7th grader and is now, as a sophomore, taking Japanese 1. The beauty of a 6 year program like LTAC is they have time to take additional coursework not available in a 4 year HS program. parents looking for more information on Ogden IG. I would suggest looking at the monthly principal reports from the LSC meetings. The “report link” is located on the school website which is updated weekly for timely information. @223, Lane spirit store will be open on the 31st. And I’ll be working in it. 🙂 There will be a plethora of current students, parents and staff that night to ask any questions of. Couple of thoughts — We immediately removed “fear of the high school selective enrollment process” from our discussions. We decided the decision to attend LTAC should not be based on a fear of the future, but rather on an interest in the new opportunities offered. Also, we ultimately (and wisely, I think) left the decision up to our child, although we helped guide and give advice when needed. If your child is excited and ready for the change, I think it will be a positive experience. One year later, we couldn’t be happier with our child’s choice to attend LTAC. From our perspective, it has been a very positive experience. Our child is happy, involved and fully invested in school, in a way we did not see at the elementary RGC attended. Happy to answer more specific questions re: logistics, courses, teachers, workload, grades, activities, social experiences, etc. if you have any. @227, I posted a few different things about Pritzker on the gifted thread. I have a child there now (6th rgc will move to wyac), and one going in the fall (entering 5th rgc would be same class as your child). We have twins. Our daughter was accepted at WYAC, and our son at LTAC. We are incredibly happy to be accepted at such great schools but are not happy about the different locations. Our older son attend Jones. The logistics of getting them all to school in the morning may be difficult. We drove past WY and Lane. Lane looks HUGE! How can my son navigate such a large school? Are the AC students kept in a separate location that makes it easier for them to get around? Or will he be expected to navigate that entire school the first year? How is bus service? What are the hours at each school? Any help/advice will be greatly appreciated! @ 233 – The kids learn to navigate Lane quickly! LTAC students spend most of their time on the fourth floor (which has a smaller footprint than the rest of the building). All LTAC student lockers are on the fourth floor, as well as the core LTAC academic classes. LTAC students also have their own gym and locker rooms (on the third floor, I believe). Of course, some electives, foreign language courses and the cafeteria are on different floors. But it’s honestly not as bad as it looks from the outside. Also, teachers are very understanding the first week or more if students are a little late while figuring out how to navigate the building. Building size has been a non-issue for us. WYAC shadow day on Friday. If you signed up you should now have a confirmation email. We just received ours a little bit ago. After reading his letter indicating that he did not get into the LTAC, my son was very disappointed and wanted to know more about the process. We discussed the different tiers and how the offers are handed out based on them. My ds then asked me if I ever considered moving the family to a tier 3 neighborhood (his score would have gotten in if we lived in tier 3). He asked me how it is fair that someone with the same score as his will get in just because of where they live. He then realized that someone got into LTAC with score 140 points lower than his. His reaction was one of stunned silence. As an adult, I know this is the system we are part of but I can’t help but wonder how an experience like this will shape his young worldview going forward. Based on the high school cut-off scores this year, he should make it into Lane for high school. Between now and then, I hope he will maintain his love for learning and hard-working approach to school and not feel betrayed by the system into which I have placed him. I was kind of horrified that, after instructing my daughter to be very sensitive and kind when talking about academic center admissions with her friends, her principal came to the classroom and had all the admitted AC kids line up and announce where they had gotten in. Please tell me this doesn’t happen everywhere. Our son is in Ogden IB Gifted program -6th grade. I know the kids have discussed their scores among themselves, but best to my knowledge administration has not made it known publicly. We also instructed our son to be mindful of others who did not get into an AC. From what he has told me the kids who did not get in this time have a great attitude and are gearing up for the SEES High School experience. It’s tough because some kids missed the Tier4 minimum by 1 point. My son got an acceptance into IG for 8th grade. I am trying to find out more about the program and no luck! All I have to go on so far is the little cps oae blurb on the website and a few comments on the 2014 AC / IG thread on here. I have emailed and called the school a few times, and no response at all! Any current parents from Lincoln IG that can help with questions? Please help! 238 – We have had a lot of discussions about tiers in my household lately. I think that gifted kids of the ilk who are seriously considering an AC are mature and intellectually sophisticated enough for a conversation about poverty, socioeconomics, and educational opportunities. Although I am disturbed by the manner in which the system is abused and contains imperfections, I agree with the goals of the tier system and I found that my kids did as well. As another post pointed out, theoretically, given that 30% are rank admissions independent of tier, those in the lowest tiers realistically represent a minority of admissions. My kids agree that children in poorer parts of the city (and we drive by those parts, so my kids know what it looks like) who may not have the opportunity to participate in math camps, piano lessons, and family vacations have a stimulating outlet and an opportunity. In truth, my own opinion for why tier 1 and 2 scores are so much lower is not because tier 4 parents can afford test prep. I imagine and I could be wrong that there are fewer applicants because poorer people are more intimated by the system and less able to advocate for their children and/or access the resources available to them. How many Tier 1 and 2 parents have you seen post on this blog? If the system works it will help kids from these neighborhoods be better community leaders and bring resources back. Someday, it would be great to think there might be a year in which the disparities were not so vast. It’s an idealistic vision, but where will cynicism bring us. I have made the difficult choice to raise kids in the city, when I know it would be much easier in the burbs where I grew up, because I value the diversity the city offers. I suspect many of us feel the same. I can imagine that it is very hard to swallow when you are sitting with that one point miss. However, I think we need to think carefully about how we present these values to our kids. I can understand the intentions of the Tier system. However, the execution does not achieve that mission. On my block, for example, we have million $ houses, middle class and welfare recipients. There is nothing you can ascertain of a person’s socioeconomic status simply by knowing they live on my block. @243 thank you for your post. I wish I could put as eloquently as you did. I agree with you that the children applying to AC should be mature enough to discuss the Tier system and to undersatnd why we have it. However, the system is really flawed. While I can’t offer a viable alternative, it breaks my heart to see a child not get into a good school because they missed a cut off by 1/10th of a point. I think such tier system should limit the spread between the highest admitted score and the lower admitted score independent of tier. I also think that how educated the parents are really plays a role in the opportunities the child is exposed to while growing up, so that might be included in the system as well. @245, It seems that at the very least the minimum required score needs to be raised from 500 up to 700+. How can a school effectively run an advanced and rigorous program with a 370 point spread! @246 agree, but I would limit it to 85% above map score to apply to AC. Must meet standard at minimum. @249, absolutely old standard was 70%tile+ on ISAT to apply to AC. New standard is 45%tile+ on MAP. At the very least it should go up to the 60%tile+ required to test for RGC/IG/Classical. My 5th grader was accepted to Lincoln IG and Pritzker. Any Lincoln IG parents out there? @239 anonyma: One one hand, I think it’s awful. To think that a teacher would have students stand up to present which AC they were accepted into is NOT appropriate. I was VERY clear with my child, NOT to BRAG. As a matter of fact, I took the cell phone the night the letter came in the mail. And as I expected, friends were texting and asking, posting on instagram, etc. It is very insensitive to others. We shared that while we are celebrating, other homes look very different tonight so you need to be happy but grateful and humble. Now, on the other hand, it would be interesting to know the elementary school you are referring to and the students in that class. Perhaps the teacher was trying to demonstrate what hard work and efforts “looks like” because 6th grade students GOOF OFF. I know. I’m an educator. Is it the BEST way? Probably not. I can understand his warped thinking, even if it was not the best way to do it. I wish you the best. There are all kinds of people in the world, including crazy ones. Unfortunately, the crazy ones are teachers. Teaching with CPS will make you crazy. I’m curious to know if bus service is offered to/from Ogden IG similar to what is done for AC students. Next year I’ll very likely be driving to three schools. I’m trying to figure out the logistics. Still no letter from CPS. Bus service is the same for AC and IG students. The principal came to my son’s room last school year (he is in 7th grade at the AC now) and asked who got in to the ACs. She wanted to know how many of her top students were leaving for selfish reasons and how many spots she needed to fill for 7th grade this school year. She seemed a little miffed with me but said she understood. I mean he was busting As with very little effort! This is the reason he had two Cs last semester because he HAS to study now and work harder. How many Skinner North students got an AC offer this year? Do they have as high of a placement rate, as say Decatur students? @254 call the school and make sure where pickup/dropoff is. Heard sometimes it is not your neighborhood school as normal. Might send u next town over to save cost by consolidating more students at bus stop. They have to provide bus service per rule but it doesn’t say it must be convenient for the students. Make sure. @257. How selfish of that principal. What kind of fragglenackle craziness is that? Wow. That’s like a selfish boss not wanting employees to seek new opportunities. Like I said, CPS makes you crazy. That principal was more worried about the impact of students leaving for ACs has on her school data. Does anyone know how the students from the different tiers fare at LTAC? Do the students who have the lowest scores struggle more? Fail out or drop out? Or does the program retain most of its students?The whole Tier system is vexed and complicated, but I think I would have a better understanding of how well its goals were being met if I knew how the students were doing in the AC program thus far. Any WY parents or students here? I know there will be math placement test for incoming 7th graders sometime late April/early May. Can anybody shed any light on what this test looks like? And what are the possible outcomes? Can one test out of Algebra I based on the results? 243 — I wonder how your children would view the tier system if they were on the outside looking in. Would they give up their spot so someone from a less fortunate background would have shot at a better education? Mark (@87) said his daughter missed getting an offer by a 1/10 of a point. Someone else will take her place with a lesser score because they live in a different neighborhood or perhaps on a different block. I doubt his family is chalking that up to the merits of the tier system. I disagree that we should expect the children applying to ACs to have the maturity to understand the tier system when even those who defend the system, admit it is a flawed and imperfect system. Hopefully, all the children who did not get the offer they were hoping for will have a good experience as they finish off the elementary years. I disagree with the notion that they will have to work harder. While some may need to improve their grades, many–as mentioned here–are straight A students. What they have learned in this process is that sometimes life is not fair. (Their future life trajectory determined by the block their parents choose to live on?) How they respond to that knowledge could provide a better life lesson than any AC can provide. Teaching your child to bounce back after a setback is a probably the best thing they learn. Often, as parents, we try to shield them from any discomfort but they best thing we can do is teach them to be resilient. In my house we are not discussing the merits of the tier system, but rather the reality of the system. The reality is that my child did not get in to their choice. What he does next and how he moves forward is most important to me. @262 Sandra: Yes, there is a math placement exam and I believe foreign language placement too, if you’d like? I have no idea what that math placement test looks like but I do know that when she tested, there were only two options, Algebra I and Algebra II. I understand this has changed. There is the Geometry option, if a student scores high on the placement exam. My kid placed into Algebra I and was actually UPSET! We felt that was the best thing because you have NO idea what you’re getting into and the LOAD is heavy. I think her disappointment had more to do with “what will my peers think of me” than, “this is probably where I should be”. After the year started and she jumped into Cross Country (HIGHLY RECOMMENDED for incoming AC students) in addition to the other activities she has scheduled, she realized it was ok because it was challenging for her. Wherever they place is where they should be. And my kid recommends students start with Spanish or whatever Foreign Language–ONE, unless they are fluent in the language and need that extra challenge. Otherwise, the load is heavy and YOUR KID will MEET NEW FRIENDS. And their SOCIAL LIFE will be BETTER THAN YOURS. So consider all of these things. Balance is key. Social is just as important. Try a sport. Join a club. Soak it all in and get into that culture because it is a great thing to watch and enjoy with your kid. The one thing I’ve noticed is that our students that test into these Selective Enrollment seats are already gifted. The AC gives a heavy homework load. I recommend ensuring that your student LEARNS HOW TO STUDY. Right now, the kids are good at completing homework VERY THOROUGHLY and submitting awesome projects. But they have to develop the habit of studying every subject at least 45 minutes per night for MASTERY. This is an adjustment. For example, when a student says, “I only have HOMEWORK in Spanish and World Lit”—they really are forgetting that they need to STUDY Spanish, World Lit, AP History, Geometry, and Honors Chem. You can’t rest on your laurels here. You have to develop tight study habits that will carry them into college. College will be a breeze…. I wonder if anybody looked at the tier distribution of a graduating class? It is probably much different then the initial one – if you have such a big difference between the incoming kids, how can they all succeed in the same classroom? How many Tier 1 and 2 kids decide not to go to WY or Lane HS after the AC, because they will not have high enough grades for college if they stay in these schools? My son already took Algebra 1 and now is taking Geometry, this is why I was wondering how they do math placement. Lincoln IG….There is a meeting on April 1st for 2016 incoming students. Check out the schools calendar, details can be found there if you do not find a parent of current Lincoln IG student to address your questions. Good luck. Can you share what your sons scores were? @239 Kay Lauren. Of course it should be celebrated; however, THIS Chicago landscape presents a very a delicate and sensitive situation. This is not the Olympics. At the Olympics, if you sprint a time of 9 seconds, you qualify for the next round and eventually qualify to compete for the Gold. When applying for an SE seat. you may have very well received a score that should get you a seat; however, when the determining factor is your demographic TIER, celebration must be done, in my opinion, humbly. My kid scored 150 on the exam. We high five at home. We will take kid to dinner and share with family. However, I did not post on facebook. I didn’t even reach out to other parents that I knew were waiting for that same letter. I also knew there would be students in kid’s class that would be devastated…and They.Work.Hard. And I think it should be celebrated–but tactfully and with sensitivity. The situation calls for it. The Olympics is a whole different game. Congratulations to you. and after I typed my reaction to Principal that had students stand for being “selfish” to leave her school–probably was trying to be funny and light-hearted–but some kids are hypersensitive to certain comments and they take things out of context. I’m sure there was no harm but–sensitivity. I’m kinda strange like that. I wouldn’t even allow my oldest to wear a WY tshirt to school until May. Yes, you can test out of Algebra and go straight into honors geometry. As for language, it’s a placement test and many start with the language from the previous school such as beginning with Spanish Honors 2. As for studying, I would suggest each child in a SEHS start with time management~that’s what their teachers will be stressing at school and as parents we should stress that at home. @270 – He is taking Honors Geometry now, in 6th grade, will be done with it in June. So ideally he should start with Algebra II. At least that what was planned for the next year if he stayed at the old school. Language is not a problem in this case – French 1 it is, preferably not honors, if they have it. He did study it a little before, but that did not go too well. Hm… When is this exit exam? I can ask at his current school, maybe he can take it this year and just bring in the results? Sandra, is your 6th grader taking Hon Geo in a CPS school? Sort of… It is a charter school in Chicago. In our school (suburbs of Chicago) after Hon Geo, he would be scheduled for an Algebra placement test. Does your school require such a test in order to proceed to Hon Algebra II? In general, WY’s math department is very good. I’ve talked to a few of their math teachers over the years during various math fairs. They say that they are able to place your child in a course that is challenging for him. @276 No algebra tests after Hon. Geometry, just move on to Algebra II. There might be an algebra test for the 8th graders, but my kids are not there yet, so I don’t really know. I just printed out a sample CPS Algebra exit exam – linear functions, quadratics, little bit of systems and inequalities. If WY’s placement is similar to this one, I think he should be fine. Time constraint might be an issue though – 40 problems in 90 minutes looks like a lot. @278 Sounds like it should not be a problem for an advanced math student, good luck! I hope he will be appropriately placed in WY. Rather than looking at graduation rate by tier, I would look at where they go after high school. Are more of the Tier 1-2 kids going into the military or attending community college? Are they being awarded more or less scholarships and grants? the questions about where tier 1 or 2 students are going are reflecting some very stereotypical views? Its as if you believe they are doomed from the start? No hope of college or university? Only military or community college? You’d be surprised by the actual layout of the city, what is considered Tier 1 or Tier 2. AND there are MANY SMART students that reside in Tier 1 or Tier 2 that are admitted on RANK score alone—not their tier. Think about it…. (I have one in my school who received a score of 895. She lives in TIER 1. Based on my observation, kids in Tier 3 and 4 struggle due to lack of time management (thanks @270), too much “social work” (that’s a joke in my house) and too many other distractions. @Sandra and Robin – You both pose interesting questions about tiers and long term achievement within SEHS, particularly among AC students. I think some of the answers can be found by looking at the state report cards for schools and looking at possible achievement gaps(if present) based upon student income but I don’t believe you can get all of the answers because of the unique nature of CPS ACs. An important factor is that it is that only 3 ACs are located in SEHS – LTAC, Lindblom and WY. If Ackies stay at Kenwood, Taft or Morgan Park, they will be automatically “tracked” with other high achieveng kids, regardless of their tiers. The others are housed in neighborhood and/or magnet schools. Ackies who enter any high school setting, regardless of tier are already ahead of their peers and, by necessity, are grouped together for most of their high school careers. For example, if an Ackie takes honors high school biology in 8th grade, in 9th grade they will be required to take honors Chemistry (or Physics if at Jones) with only those kids who have been their peers for the past two years or new incoming 9th graders who were Ackies at another AC. So my guess is that as they age/progress in school, for this particular group of students, there may not be significant differences in achievement based on income(tier) at the end of their high school experience. Regarding math placement, I agree that it’s not always best for kids to place in the “highest math possible” their 7th grade year. The adjustment socially and academically may make that one class change the entire school experience for the student. Additionally only classes taken at an AC count for high school credit. So if a kid is taking 6th grade Geometry, (after passing the CPS algebra exit exam)that’s great, he/she will need to take 4 additional years of math in high school. For most kids, it’s not a problem at all, they plan on taking AP Calc AB, BC and AP Stats anyway, but it makes for a very heavy course load 10th,11th and possibly 12th grade. I would suggest a conversation with an engaged school counselor early in your child’s high school years to map out a pls that really makes sense and is achievable. I think that a bright kid will make it, but the struggles are there. Military…community college…might have a lot to do with how much $$$$ the family makes, and its connections, more than the kid’s tier or their entrance points into the AC. Though it’s all intertwined. My friend teaches at a tough HS and had a kid get into Northwestern on a full scholarship…kid struggled mightily, almost failed out, but made it. Got it together. And this kid came from a very, very tough background. Sometimes kids who have had to struggle in life have more grit. I am a mom of a newly accepted WYAC 7th grader and just wanted to say thank you to the Parents of WYAC students for sharing their 7th grade experiences. Particularly, what classes are recommended as to not be completely overwhelmed. When he received his WYAC packet yesterday, he immediately wanted to take a language and computer science as electives. I shared the feedback from this blog and now he is considering taking just the language so he can do homework during instructional support. Our son knows this will be a tough adjustment year, but is looking forward to the challenge. Thanks again for providing invaluable feedback to this new WYAC mom. I know momofmany and my dd is also at Pritzker. She has been in the RGC there since 3rd grade. I would be happy to speak with you or others about the school. Dd will be going to Lane next year. @286 What is “division”? What was the policy regarding it before and what is it now? The Exit Exam for Algebra is a CPS test, so your school may have it regardless of academic year and your child will probably be placed in Honors Algebra 2. WY’s math team is #1 in the State~they have an excellent math department. As for language, WY will start your child in honors. I wouldn’t worry about French 1 Honors. The have excellent French teachers. Your child will love WY. Due to my observation and my first child has been there for 6 years, tier 4 kids don’t have a problem with time management and that’s probably bc of the all the activities at home and through WY that they take part in throughout the year. My kids didn’t stay in their division. They started out in one division for ackie years but changed during for freshman year. I have had similar conversations with the principal and a couple of TEACHERS at my dd’s school. And while I understand in part that students departing for ACs puts additional pressure on the elementary to fill seats but this should be a back office matter, not something to pressure students and parents about. I known one teacher that tries to ” inform” students about how hard the AC will be…. IMHO if then schools and network want families to stay (to improve their data or what evert) then make the proposition attractive, improve the offerings for advanced kids. How your classes are r balanced or how my child’s departure will affect your data is not compelling or my problem. @Robin – I can’t speak specifically about WY, but I know that this is the case for many science, math and English classes at Lindblom. Language classes and colloquia classes are mixed with all different students. On registration day, kids will take the math placement test, an optional foreign-language placement test, and an optional music placement test. You also turn in a lot of paperwork–proof of address, medical records, etc. It is a busy day, but quite organized. Hi all WY parents. We got the packet last night. Are these courses semester or year-long selections? For example, if my daughter takes the instructional support and decides she doesn’t need it, can she take another elective at the semester break? Or vice versa? I always marvel at the tier 1 stereotypes here. Brings back memories of SEES parents talking in hushed tones about the “urban” kids in the neighborhood program. Blech. Sandra – Division is like homeroom; 10 minutes on most days. Thank you! We did not get the package yet, but it looks like two of the three electives will be an easy choice – French and Instructional Support. You mentioned music placement – is this for the music theory class or for the band/orchestra? I.e. is it a written test or an audition? Question for those who got the WY packet in the mail yesterday. Did it say anything about summer orientation? Last year it was in the end of August, but it looks like it is scheduled to start June 22nd this year. My son is going to put of state camp at the same time. Is summer orientation mandatory? Can he do attend the first few days? the difference in the scores needed for admission is a reality, it has nothing to do with stereotypes. Yes, there are tier 1 kids that get in on rank, but there are also tier 1 kids that get in with 100 or 200 points less than tier 3 and 4 kids. Assuming that these points reflect anything even remotely related to the future academic success, this gap will manifest itself in one form or another. This is where the difference in the numbers of those that stay for the SEHS or leave for a different HS can come from, not from the really high achieving tier 1 kids. It might well be that these points don’t mean anything at all, but this is not the official CPS position and I don’t have any data to argue one way or another. @296 Sandra-perhaps your child will be in class with ours-we are also choosing French and Instructional Support. Our son has had Spanish for 4 years, so he’s ready for a new challenge. Hoping after 2-3 years of French, he can take Mandarin in high school. Learning new languages is an interest. Do you know about the music audition process for WYAC? Does AC have it’s own orchestra or can AC kids be in the high school orchestra? My daughter plays the cello, and is already anxious to pick audition pieces and start practicing. @299 Are you coming to the shadow day tomorrow? No, we are going to the shadow day next Thursday, April 2. We will be at Programming day on April 16. @Sandra, presumably for truly gifted kids the gap in scores can be closed. The whole point of Tier system is to give less economically advantage kids an opportunity to live up to their potential. I’ve posted here before, I don’t think the current Tier system is fair, but we have to have some mechanism to give opportunities to as wide range of population as possible. Sorry, forgot to list scores for my Lincoln IG bound daughter. We need that score again for high school! Hey there my student is a current 7th grader @ WYAC she’s in intermediate band and she did have to audition during programming day theirs beginner/intermediate/ and orchestra. Your daughter can play any musical piece of her liking and the band teacher will let her know what her placement will be so she can register into the appropriate band class! I was a little intimidated by the WYAC packet. Man, I would not have survived there as a kid. Hoping my son will. Thank you! So at least we will know to bring the instrument to the programming day. WY automatically put ackies into honors. If they can’t keep up, they can go to regular I believe. Your son will be just fine and do very well. It’s really a wonderful time for the kids, meeting new friends, experiencing different clubs, etc. All classes are for a year and I would suggest ackies take instructional support. It’s just a study hall where they can get hw done and breathe. For many it’s a waste of time, but it’s difficult to have 7 classes at that age. Just talked to WY, they confirmed that Summer Orientation starts June 22nd. we have a huge conflict! My son starts math camp on June 28th. Can someone tell me if WY will be open to an idea of letting him do just the first week of Summer Orientation? the summer orientation web form asks if your child will attend the entire time or has you check off which days they will not attend. It also asks if you will attend the parents meeting the entire first day, and a celebration at the end. Thanks, momofmany, we still didn’t get the our packet. My kid is super excited about tomorrow! @LM we did not get the packet either. I think the e-mail said to let them know if we don’t get it by Friday afternoon, so might just tell them at the parent meeting. Is the information in the WY packet different for each child or is it the same for everybody? If it is the same, I guess we can just come a bit earlier and ask them to print an extra copy or two. I would really like to have a chance to read through it before the meeting, so that if I have any questions, I could get them answered right then and there. W. Loop Dad – just wait until you see some of the writing assignments! Some of the classes are more challenging than college. Thank you, Sandra! That sounds promising. It’s better to attend at least first week of summer orientation team none at all. My ds is doing a shadow day today, he was so excited in the morning! I was wondering if anyone here is from the far nw side, Norwood/Edison park area whose child goes to WY. Wondering how the bussing has been..like what time is usually the pick up and the time they come back in the afternoon? Exactly! Doesn’t seem very welcoming and makes me wonder about the LTAC program. I don’t know. I think a Meet and Greet, an orientation day and camp seem adequate and certainly welcoming. My daughter was offered a seat at Ogden. She doesn’t know yet…I’m happy! WYAC – homework question…heavy load but if your child is already doing a heavy load (1.5-2 hours) do you think it will be truly a hard adjustment? Everybody says it is 2.5 – 3 hours of homework at WYAC. But this assumes a full load schedule. So I think it might be less, if the student is taking Educational support – one less class to study for plus a bit more time during the school day to do the homework. How much time this will save in total? I guess about an hour? It really depends on the alternative – homework for a music class will be nonexistent, if the kid has to practice his instrument anyways, but homework for a World Language class can take a lot of time. LAT – the change in homework load/intensity was much great going from WYAC to high school than from Decatur to 7th grade. @326 Congrats but find out more about the school. This is very critical time for your daughter’s education/socially. Only concern I have about Ogden is that high percentage of 8th graders leave Ogden. With any AC/IG program, I would not send my kid there unless I was planning for them to stay through High school. WYAC parents, my kid wants to enroll in dance instead of PE, but he has no previous experiance as a dancer, is he going to be OK in this class? @LM – my kid sat in on a Dance class on Friday during the Shadow Day. He said that there were no boys in the class at all. I don’t know what level of dance it was, but still. If you have a boy, he might want to know about it before he enrolls. Meet and Greet – March 31 at 5 p.m. I have a current LTAC student and pulled the summer dates from the website calendar for you. However, I recall receiving information directly from Lane last year, so incoming 7th graders will probably get more information soon. On the subject of the website, there is a separate LTAC section including an ongoing blog with announcements, information and photos that might be fun to look at for those debating an offer. Ogden is a very good opportunity for your daughter to broaden her studies. The IG program is a cut above the mundane middle school muddle. The teachers at Ogden are progressive and insightful. My daughter loves going to Ogden. Her friends reflect all parts of the city and many are also from outside the US. She has friends from Saudi Arabia to South Africa. Ogden’s High School does not have all the bells and whistles of a Jones or Payton but it does have a fantastic IB diploma program and many 8th graders are staying through high school. Our interim principal has worked very hard to set a clear course for the middle school and High school. In her LSC minutes she has stated her vision of the school. She has listened to what the parents and students want as far as course studies. With that said, I regret to say that she is leaving for a position in New York. The search goes on for a new Ogden principal. Fortunately for Ogden they have a plethora of people leading the school from elementary, middle and Hs. What are your thoughts on Dr Kenner? Does she answer emails? Resolve issues? What were your thoughts of the administration and teachers in general? Are the teachers responsive if the students are having trouble or need extra help? Tia. I’ve attended a shadow day last Friday. This was my first encounter with Dr. Kenner: her energy is contagious. Not like I had any doubts about sending my son to WYAC before Dr. Kenner’s address of potential parents, but her claim that these are her children while they are in WY, made me feel all fuzzy inside, and reinforced my desire to send the kid there. She is a very driven woman, I am be very happy to have such a person to look out for my kid’s interests. @339 Edgewater. My experience has been that Dr. Kenner and her entire team is very supportive. When my daughter needed support and didn’t really know how to ask, I reached out to the counselors and they reached out to her. I tried to transition her toward being independent and learning how to ask for help. The counselors will pull them aside and talk to them about their concerns because the kids will not make that first step themselves. Once they discover the counselors are normal and your business is kept confidential, the kids feel comfortable. At least my kid did. I call my kid, “Dotty Line” because where there is a dotted line, she wants to sign it..she wants to sign up for EVERYTHING and that ‘s just not good to spread yourself too thin. So, I allowed her to do that just to see the ramifications. She had to learn the hard way. Staying up late one or two nights past midnight is OK. But you can’t keep that fire burning every night. The teachers are responsive. I have never had a delay with receiving a response. I have not reached out to Dr. Kenner; however, if she sees me in the hallway or at a school function, she will pull me aside to ask, “how are things going? Any concerns that I need to know about?” And I like that about her. She does listen. And her door is open most times. Dr. Kenner told me, “your daughter put her head in my door to say hello and that made my day!” As a former PE teacher and cheerleader, she is very competitive. She wants the kids to look the best, and to win. She makes an effort to attend not only the basketball games but the tennis matches, and the math decathlons–downstate. She is also a mother, and can relate with concerns from a parent perspective. She is a delegator. She has a good team and they handle their areas of expertise. I think it’s best that way because she’d get too bogged down with addressing everything. The expectation is that your student knows how to study and this can be a bit challenging at first, because our students are naturally talented and things have come pretty easy for them. The academic center is homework heavy; therefore, time management is key. If your kid has outside activities, they will simply have to make some adjustments such as not sleeping in too late on Saturdays and Sundays and getting things done. And I’m not trying to say the school is perfect, or the teachers are perfect. There is no perfect school. We just have to support them through this period of adjusting to the rigors of school, while managing their time, staying healthy and happy, learning to ask for help, and doing their absolute best, while having fun. I had a love/hate relationship with Dr Kenner, that ended on a very sour note. She does not get involved with day-to-day problems. Mrs. Chinn (was the AC counselor; not sure if she still is) is a goddess. Dr. Kenner’s first thought, when faced with any situation, is how it will reflect on her. Mr. Grishaber, now the principal at Taft, was an amazing problem-solver, and incredibly compassionate. Every teacher, but one, was responsive, thoughtful, and very dedicated to teaching (especially the AC teachers). They are all invested in the success of students. Does anyone have any feedback into Morgan Park AC? @339 Edgewater. I am also a parent of former WYAC now WY freshman and I couldn’t agree more with @340 LM’s impression and @341 Twodolphinmomma’s assessment of Dr. Kenner. Whitney Young is the 2nd largest and also the most diverse of the SE in the city. No other SE principal has a track record of sustained success that comes close to Dr Kenner in her 20+ years at the SAME school. She is the CEO with a great team and as CEO you she expects her team to handle the day to day, especially for the academic center. Keep in mind that there are only 200+ kids in the Academic Center and over 2000+ in the high school so have faith that Ms Zaylon and Ms Chinn are very responsive and attentive in managing the AC. If there is a problem that needs to escalated to Dr Kenner than I would assume the issue must impact the whole school. I have heard that the teachers are very protective of the AC students, making sure they are supported and not lost among the high school students. I know they have dances and some extracurriculars for the AC. A Morgan Park high school teacher told me this when giving me her impression of the AC. Any hints on the WYAC math placement? Use of calculator? Time limit? Use of scratch paper? Multiple choice or written answer? Your post was very encouraging and enlightening. Thank you kindly for taking the time to post! thx LTAC parents. can any of you pls provide a link to the detailed 7th grade curriculum. what I see on the website is a list of classes(http://lanetech.org/ltac_academics). but what books do kids read/use for World lang/power of reading & writing, global issues, honors biology and honors algebra? @349 There is no link listing all the textbooks used in LTAC. Biology and algebra use high school textbooks and the algebra book is also online. World language book is going to depend on what language is taken. If I remember correctly, 7th graders read To Kill A Mockingbird, Romeo & Juliet, The Giver, and Night in English class. But this was 2 years ago and there may have been changes since then. This may be a question for you to ask at the Meet & Greet tonight. Every year, we bought a copy of one or two particularly heavy text books (used, on ebay) I was also able to find the calculator for about half the Target price, but I started looking the April before 7th grade. The calculator finally died, toward the end of my daughter’s second year of college. As said in @338, Ogden’s fourth principal in two years is leaving the school. This is obviously not ideal, but when there’s a strong staff in place as Ogden IG Parent says, it doesn’t spell doom. Hopefully the next principal will stay longer! Another question for WY parents. We are choosing electives now, and the choice is between Latin and Spanish. Any reveiws about both programs? Is homework load the same. Are the teachers fun? I have a kid who will thrive in a very difficult academic environment as long as it is taught in an engaging manner, but he will get a “C” in the subject that he knows well if the style of teaching is boring and mechanical. If anybody has any tips about the programs, and specifically thoughts about Latin teacher (I assume there is only one), but I could be very wrong, I would really appreciate it. As of now, we are leaning towards Latin because my son always wanted to study it. And another question to WY parents. Piano Lab: do all the students have previous experiance playing piano? Is the teacher fun? Are you expected to hire a private tutor for piano while the kid is taking a class? How much time daily are the students expected to practice the instrument at home? @349 We often purchase the books on eBay too. But, some teachers will tell you to just keep the books at home and they don’t need them in class. So, you may want to wait until the fall. @207 I don’t believe that a second language can be an elective during 7th & 8th grade, but once they get into 9th grade they can. I would ask Ms. Lain, though, she tries very hard to accommodate special requests. Thank you for the input! Good day to you!!! Did anyone use SelectivePrep to improve NWEA scores or as prep for the RGC test? I was wondering if anyone can share your experiences either positive or negative. Or can you talk about other programs or tutors that you used where your child had success with improving their scores? We have a 5th grader with straight A’s and WI15 NWEA = Math score of 87 (usually high 90’s) and Reading 89. RGC 124 Just wondering if it’s possible to pull those up high enough to get an offer? Was anyone else in a similar boat heading into the Spring of 5th grade that had success with test prep? Any advice or thoughts would be greatly appreciated. Thanks! We used SelectivePrep for both the NWEA and the AC admission test. Whether it did nothing, actually pumped up the scores, or simply gave a confidence-building placebo effect, we will never know. The end result was a super-happy kid who earned admission to the kid’s first-choice AC. We saved and tightened our belts significantly for months to pay for the prep and we think it was a GREAT investment of time and money (about $300-400 each of the two sessions, if I remember correctly). We are also Tier 4 and knew the AC point margin would be small so every little bit would count. Our child, already a 97-98-99 scoring kid, did the NWEA test prep class during the early spring of fifth grade.The kid got 99s, giving 300 points on that part of the 900-point scale. Our child did AC test prep class in the fall of 6th grade and took the AC test early in November, to get it over with. Again, it could have been a confidence-builder placebo, but the kid got a score high enough to get into the kid’s first-choice AC. I think the material on the AC test is so odd (logic, etc.) that it was nice for our kid to be exposed to it early and that familiarity helped with speed, which can be an issue during the AC admissions test. We know a few kids who did not finish the test (they did not take test prep, but not sure if that made the difference or not). On the other hand (and there is always an other hand, isn’t there? ), we know several kids who did zero test prep of any kind and got a whopping 891-900 points. Bottom line, if you can afford the money and the time (4-6 weekend days per session), do it. You will know that you left no stone unturned to help your child. We had her take Critical Thinking bootcamp in the summer between 5th and 6th and then selective prep in the fall. Just the selective prep test is bot enough though. It gives you information about where your child is weak and then they must study those areas to really improve their score. She did about 20 min a day, 5 days a weeks for 4 mos focusing especially on the areas that were here weakest. We used the SP study guide and testingmom to do this. She raised her score from 127/799.8 to 146/886.5 by using these study/testing strategies and was admitted to her first choice WY. There is no need to do selective prep. The test materials are COGAT an OLSAT intelligence tests. I think they take from both of these sources. We bought a sample test book for each of these (you can find them on Amazon) and had my daughter breeze through them the weekend before the test with an almost perfect score. She said the questions were exactly the same format, nailed the SEES test, and got first choice WYAC rank. These are quasi-iq tests, so you can’t really do too much to improve your ability. What you can do is cultivate a familiarity with the question type, so that a really bright child is not befuddled by the weirdness of the questions. We did Selective Prep, but very reluctantly. My son refused to do homework for the SP., arguing that he has more important things to do. They give them a diagnostic test in the beginning and the same test at the end. His results were vertuly the same. They e-mail you results of the diagnostic test, but I don’t think they go over the test itself in class. At least this is what my son told me. My son took SP in the Fall, but the actual test was in February. We had an agreement that he will do all the SP homework a week before the test, but he didn’t keep his promise. Finally Friday night before the test and half of Saturday before the test we sat down together and went though all the homework SP gave him. He got a perfect score on the AC admission test, but it is hard to say how much of it was prep and how much his ability. I think, if you have a delegent kid who has room to grow on the test, prep will help to achieve desirable results. Your brain gets used to the type of questions that are on the test. This type of prep defeats the purpose of the test, and might be considered by many unethical, but when it comes to your kid and his future, if you can afford it, go for it. We didn’t do any prep for MAP. I did Selective prep for my sophomore when he was in 8th grade (who is at a SE HS) and my current AC student when he was a 6th grader. I did not make either do the HW because they already had enough from school. Both boys did not do well on the exams but had all As and high ISAT percentiles. I did it for peace of mind to feel like at least I tried everything. I did it like a refresher for my older son and for my younger son to see how to approach the type of problems on the AC tests. They aren’t in what the board would call the “top” AC or SEHs, but I feel like they are both being challenged and are growing as students. of course both schools aren’t perfect but I know they are getting a great education. We received our WYAC packet late, so just submitted preference for electives this week via link provided but have not received email confirmation with appointment time for Program Day yet. Has anyone received program day time? How long did it take after submitting electives online? Thanks! We submitted our information for Programming Day, but have not received a confirmation time, as of yet. I did receive an e mail from one of the counselors regarding language experience so she can place our son in the appropriate class. Our son is doing Shadow Day today at WYAC. He is very excited. Will post his experience. Thanks so much for the comments on selective prep. They were all very helpful! Just got an e-mail from Ms. Melton (7th grade counselor) – everybody, who submitted the info for the Programming Day, will receive a confirmation email with the appointment time later today. @369 – there is no separate link, you get redirected there after you fill in the Programming Day information. My daugher is an 8th grader at Lindblom and loves it. She will be staying for high school completely b choice (straight A’s 7th and 8th, high MAP scores, no test prep). The majority of her peers are staying for high school as well, turning down schools like Jones and Lane to stay at Lindblom. Ask any question and I’ll share what I know. I will say one thing though, if you don’t want to be at Lindblom, or any other school for that matter, don’t go. If WY is where you want to be, go there. Lindblom isn’t a “second best” choice for many kids and parents. If you go into it think that it’s just a “layover” for your next school, you won’t be successful. The AC was created to be a 6 year AC/SEHS program and it works like that. It’s a rigorous but supportive environment that really has a strong sense of community. If what you’re looking for is a WY environment and your goal is to go there for high school, you won’t find a group of kids, parents or teachers who will engage in that conversation or support that attitude among the Ackies. After much thought, my child is passing on the a/c for WY. So I hope this goes to a second round parent or anyone waiting, who has a child really wanting a seat there. Sending in our decline today and I’m proud of his decision to forgo high school until after 8th grade. I think secondchance is declining an offer to Whitney Young AC. I am curious to see if there will be a second round for that spot. There was a poster here, Mark, his Tier 4 daughter missed the cut off for WY by 1/10th of a point (out of 900), would be a nice surprise for her or anyone else in similar situation to get an offer after all. Good luck! Yes, the academic center offer my child is for Whitney Young. I’m not sure how they do wait lists, if it is by tier or rank, but we are tier four. I don’t know much about Lindblom, but I met a bunch of kids from the school and their young coach during one of the citywide math competition. I loved the energy, and interaction between the kids and the teacher. Later, I had an opportunity to talk to him and he sounded like a motivated and caring teacher who knows his subject. I also a heard a ton of praise about their Math Deoartment Chair, Daniel Kang. So if you have a love affair with math, you’ll have a great team of teachers to support you there. Question on the Academic Centers. At Lane Tech, the AC is considered a six-year program. So does that mean in three years as a freshman, the kids are still considered in AC? What about the incoming freshman this year which were NOT in the AC? Are there two different programs (6-year AC vs. 4-year high school)? @378. At WY it is also a 6 year program. As freshman former AC students are still mostly together in classes. Science – in 8th grade all kids in AC take Honors Biology. All new incoming freshman also required to take Honors Biology, so the only 9th graders that can take Honors Chemistry are kids from AC, because they are already dine with it. Same goes for English and probably math, but there one at least can test out of something they already know. It will not help with HS credit, only placement, but still. My daughter is a former LTAC’er, now a Lane 9th grader. She is in more advanced classes than her fellow freshman who did not go through the AC. My daughter’s experience has been, with the exception of AP Physics, she does not have classes with many of her former LTAC classmates. She is in classrooms with older students. For instance, she is with sophomores in English 2 and AP US History, juniors in her Algebra2/Trig class, as well as her foreign language class. On the track she is on, she will have all her graduation requirements done earlier and will be able to take more in depth classes as an upperclassman. Lindblom is the same way – regarding groupings of students who completed two years as Ackies and incoming freshmen. Also agree about the Math department. I’m sorry that I came across as harsh. I’m glad that you’re coming to Lindblom. I made an assumption about your motivation that wasn’t fair to you. My hope is that you’re successful and love them place as much as my daugher does. Do you have any specific questions I can answer? How many colloquium classes do you select? And which language elective is your daughter taking, because I’m considering Mandarin. @384 – My daughter says that you will pick 12 colloquium classes and you can have up to 7 colloquium classes. Some classes are “double” periods so you could have fewer than 7. For example this year my daughter has only 4, because several of them are double period ones. My *very* strong suggestion is that you choose a couple of support colloquium classes in subjects where you might need a little extra help or where you want to spend more time working on homework. It’s cool to take fun colloquium classes, too, just think about taking a couple that will really help you in areas that you think that you may need more teacher support and/or study time. My daughter takes Arabic and really likes it. Most of her friends take Mandarin and enjoy it as well. I believe that there are a lot more students who take Mandarin than take Arabic. Hope this info helps, I’m happy to answer more questions. @378 The LTAC kids are pretty much together and in all LTAC classes for 7th and 8th grade. For electives and language (if Spanish or French), they are usually all LTAC classes too for 7/8th grades. Freshman year there is usually LTAC AP Physics, Geometry (although many kids complete geometry in 8th grade and take trig freshman year) and I believe AP human geo (not sure on the last one). Then depending on the other classes they choose/get, they will most likely be with older kids. Most Lane regular freshman take Biology and the LTAC kids take HS Biology in 7th grade, so for the core classes, it is not likely LTAC are with regular Freshman. By Freshman year, many LTAC kids have up to 10 HS credits already done. Would like to hear more about possibilities for AC kids to graduate early. Also, what kinds of classes get dual credit for HS and college? selectED is a feature length film that examines the truths and challenges of public urban education as seen through the lives of high school students at Whitney Young High School. This public school began as a dream to create a fully integrated school in a racially divided city, and within a riot ravaged neighborhood in the 1970s. Through interwoven stories, selectED explores the leadership, triumphs, and losses in one of the most culturally and economically diverse schools in the country that has stood the test of time. i think the only one thing does snot mention here regarding AC, that 7-8 graders are now in High School, this s not middle school, a child needs to be mature enough to handle new environment, homework, responsibilities. coming from small family like school into Lane, 7 grade was a huge disappointment for us. my child struggled to adapt new life for a few months. it was not easy. 3 of his classes was with older kids. plus lunch room for AC was closed so kids are eating now on 1 flour. my kid is doing better now, but, oh boy, that was such a battle. Good luck to all!! i wish only the best for all of u! About LTAC–why don’t the kids stick together more in HS? Not crazy about the idea of my kid taking most classes with older students. What about socializing, being with classmates who are the same age…? I would appreciate thoughts from other LTAC parents who have been through this. How did your child fare socially after the 7th/8th grade years? Taking interesting and challenging classes is great, but we want our kid to have fun and feel comfortable. If I had to guess, I think they aren’t together more because of the wide variety of courses they can choose, especially once they hit HS. In my 9th grader’s case, her elective and foreign language classes are only offered during certain periods. The rest of her schedule had to be built around those. She also opted to take a more advanced history class than the rest of her former LTAC classmates, because that is where her interest lies. Also, the kids who went into the Alpha program only take their core classes with other Alphas. My daughter has mentioned she barely ever sees those kids anymore. The transition to HS has been fine. She had kept in touch with her little group of friends she had from LTAC during lunch, after school and on weekends. She has made friends with other freshman who didn’t do LTAC through her PE/Health class and through extracurriculars. She also has some friends who are older. This has been a year of widening her social circle, which is a good thing. Trust me, she is having fun. I think if they had somehow kept the former LTAC kids together more, it would have been socially limiting. Also, having some older friends can be an advantage because they can be a source of information regarding courses to take in the future, ACT testing and the college selection process. I have to agree. Having older friends in high school was a major advantage for my daughter; from advice on how to handle teachers to college admissions experience. Am I the only paranoid one that called OAE today to confirm that they had the acceptance form? They did have it by the way and were very nice over the phone. The only reason I haven’t called them is because I received confirmation e-mail from them two days after I e-mailed the acceptance. I dropped off my acceptance form in person and got a paper receipt. Same as LM. I e-mailed the acceptance and got confirmation via e-mail couple days later. You know what is too funny for me! I can’t remember how I notified OAE of the acceptance AND how they responded to me and my child is in 7th grade at a south side AC. The work and staying on top of my son has been overwhelming for me, but some of my AC friends who have kids in AC HSs say freshman year is so much easier for AC students than those who just enter HS from elementary school! So I hold on to that thought and try to coach my son as best I can. The AC is an eye opener. I thought my kid was smart, and in some subjects he is but in other subjects it was an eye opener AND ***sigh****he’s a boy so he isn’t working to his full potential!!! I know he will get there soon, but I hope I won’t be bald from tearing out my hair! The ACs are for many students an adjustment period and its a load of responsibility!!! Sometimes, I ask myself why did I sign my 12 year old up for this!!! Just prepare yourselves—you will be shocked about the workload!!! I know I’ve mentioned this before, but for my daughter, the adjustment from the AC to high school was much more difficult than from 6th to 7th. The AC teachers meet regularly; among other things,,they try to make sure that homework is fairly evenly balanced throughout the week. There is no such balancing in high school. In 7th-8th the homework averaged 3 hours a night; the first night of freshman year, it was five hours. Does anyone know the date for Ogden’s 6-8 grade registration? Have anyone received information packets? The school clerk said packets were mailed this past Friday. To date, I haven’t received anything. I just want to make sure I don’t miss any key dates. @242 nts and @252 ct -Sorry for late feedback. I’m sure whatever decision you made with your child will work out wonderfully. Lincoln IG has been a great experience for my child, who is headed to WPCP in the fall. best of luck. Forgot to ask today at the school, so will try here: does anybody know when the results of WYAC math placement test should be back? Couple days? Couple weeks? And another question: today was only the first math placement, this one is supposed to get kids into Algebra 1. For those that do get in and are offered another placement to test out of Algebra 1, when does that second test happen? I was told my Ms. Melton that math test results are not available for several weeks, and that if they need a child to come back for additional testing, that we will be emailed with the details. Not all of the children placed into Honors Algebra I will be offered a second test, only the absolute top scorers. No second rounds for schools? Food fo thought. We were driving to activities this weekend near Senn HS. My hubby asked why Senn doesn’t have an Academic Center. It seems like a good location since Lane and Taft are really far apart, Senn is in a good location, has an excellent IB program already and it may help it improve even faster. Patricia, Excellent question and great idea. Hope Principal Lofton is reading. Bet she could lobby for it and pull it off. I see someone mentioned that the second rounds for Taft start in May. Is that true for all of the ACs? Just received an offer from Lindblom AC Friday afternoon, April 24. So some schools must be on their second rounds. We got an email from the school, followed by an email from OAE and then a (cut-off) robo-call from CPS. I can’t put my fingers on the test scores for the 6th grader (where did that piece of paper go? ), but we’re Tier 4. We turned down my child’s first choice for AC by the deadline and received and email invitation to Taft AC on Friday, which was our third choice. They asked for a response by May 1st or the seat will be forfieted. Does anyone have the feeder school data for the SEHS or Academic Center for the last and this year? My daughter got into Harlan and we turned it down cause it is too far away. This week we got an offer at Kenwood, which is also pretty far away from our neighborhood. Is there ever a round three? We are on the fence on this huge decision. My daughter is currently at Edison and loves it so leaving her there wouldn’t be the end of the world, especially since I am worried about her being emotionally ready for the HS environment. Thoughts on chance of her getting into one of the other ACs in a third or subsequent round? Maybe you can help me out here. Having just navigated the AC process, I find a lot of fifth grade parents at our school are asking me questions for their turn in this process next year…one question that has come up in the past week, “my kid did not do very well on his Spring MAP test this year, can we do a retake like the kids did this year to try and boost his score?” One parent called OAE and they were not very helpful. My child did not do the re-test this year. However, I thought that was unique to THIS year’s students because when they took it the first time, not everyone was aware that it was a “high-stakes” test. Anyone have any information on this MAP re-test business? THANKS! Currently, no decisions have been made for the 2016-2017 application period with regard to NWEA-MAP testing for non-CPS students. Details will be posted on this website once the procedures have been finalized. If you would like to receive an update on the final decision regarding the NWEA-MAP, please click here to complete a request form, and information will be emailed to you as soon as it is available. I wonder if CPS will only use grades and the SE test??? Students can re-take the MAP test at the teacher’s discretion. I suppose parents can request this. Not sure about the policy or timing of the re-take. I would start by asking your child’s teacher. The test score that is used, however, won’t necessarily be the higher score. There is a value, and I wish I could remember what it’s called, that determines which test score will “count.” It is built into the MAP test and indicates if a student is just guessing at answers. If you retake the MAP test the fall 2015 scores will be used for SEHS/AC admission. The party line is that the fall tests are usually lower than the previous spring due to the summer brain drain. My kid’s school was wonderfully accommodating and made it very easy to re-take the MAP tests in the Spring. Seriously, were you just offered a spot at Thorp? Or was this from an offer several weeks ago? Does a child have to score a 115 or above on the RGC test to get into an academic center or is that the cutoff only for RGCs? The Chicago Public Schools (CPS) will continue to use the Northwestern Evaluation Association Measures of Academic Progress (NWEA MAP) as the uniform assessment for all students applying to CPS programs with academic requirements. For students who do not currently attend a CPS school but intend to apply for CPS schools with academic requirements, programs in CPS, the NWEA MAP will be offered free of charge. The NWEA MAP is used by CPS to determine eligibility for selective enrollment elementary and high schools and other high schools with academic requirements, including college and career selective academies, International Baccalaureate high schools, magnet high schools and military academies. The test will be administered to non-CPS students at multiple locations around the city on Oct. 17, 18, 24, and 25, 2015. In order to register for NWEA testing in October, registration forms must be received by the CPS Office of Access and Enrollment by Sept. 10, 2015, at 5 pm. Students who register by Sept. 10, 2015, and who are eligible based on their NWEA scores, will be able to schedule their own admissions exams, information sessions and auditions, and they will be able to submit their applications using the CPS online application portal. There will be one additional test date in January 2016 for families that do not register by September 10. Families who opt to test on this not-yet-determined date will be required to submit paper applications before the Dec. 11, 2015, deadline for the schools of their choice. Is the IG test the same as the AC one with figural analogies? Daniel, yes the IG test is the same as the AC test. I thought the the International Gifted Program at Ogden will not be accepting new students beginning the 2016 – 2017 school year. From what I have heard, the AC system is a bit intense. For some kids, that is great; for others, it is not. I would monitor your kid very closely. An IEP may not help enough in that environment. I can only speak to Whitney, without an IEP. The program is intense, competitive, high pressure. The teachers meet regularly to keep the workload balanced, but 2-3 hours a night of homework is standard (and necessary to succeed). We just received an acceptance email from Edison Regional Gifted Center. Our letter never arrived but we are very excited about the email offer. Kudos to my little girl for achieving such an accomplishment! All the best to everyone and congrats to those who have been accepted. This is a stressful process. I’m relieved it’s over.